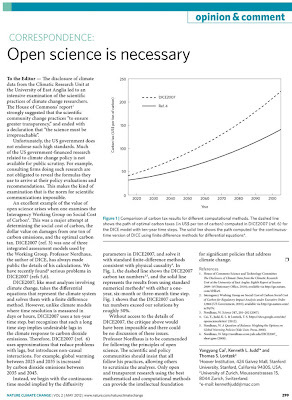 An "Opinion and Comment" featured in the May 2012 edition of Nature Climate Change admits and urges that "open science" "allowing others to scrutinize the analyses" is "necessary" and that "only open and transparent research using the best mathematical and computational methods can provide the intellectual foundation for significant policies that address climate change." Related: The fundamentals of The Scientific Method established in the early 19th century. When scientists start talking about "the scientific method", as if there were a sacred text everyone must abide by, then you should know that scientific competence (including the supposed necessity and sufficiency of peer-review, to establish what is "good science", and what is not) has already been lost all around. Any "experts" are already supposed to KNOW the scientific method, in all its forms. Climate science has failed--it adopted false theories and pushed them as authoritative, suborned all of our institutions, and has produced a generation of proudful know-nothings calling themselves experts. It is not the climate that is out of control, nor even the incompetent climate science, but the political situation, which takes the climate science as sound and settled. Even 97% of the so-called skeptics think there is such a thing as a "greenhouse effect", of increasing global temperature with increasing carbon dioxide, and they are just as incompetent in this belief as those who take that belief to alarmist, politically tyrannous, levels. 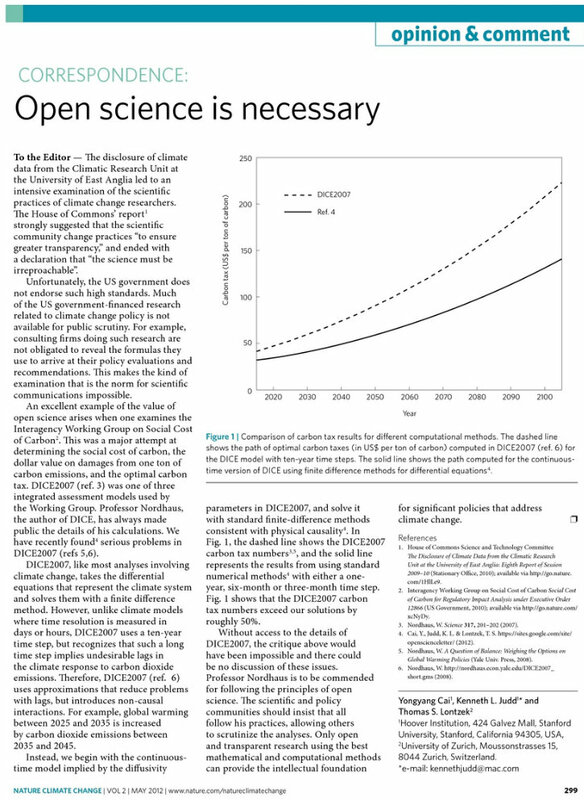 Climate science does not need "open debate". It needs to kick out the incompetents; it needs to be investigated by non-climate scientists, competent physicists who already know there is no global-warming "greenhouse effect". My Venus/Earth comparison is the definitive evidence for the fundamental correction of climate science, and that should be the front-page news around the world, if the scientific community were competent. And the political juggernaut, based as it is upon false science, must first be stopped, as soon as possible, so that dispassionate, truth-seeking science can be re-established. I agree with you - the "greenhouse effect" is a fallacy. It is however, so ingrained that challenging it is an upward battle. An internal study by the U.S. EPA completed by Dr. Alan Carlin and John Davidson concluded the IPCC was wrong about global warming. One statement in the executive summary stated that a 2009 paper found that the crucial assumption in the Greenhouse Climate Models (GCM) used by the IPCC concerning a strong positive feedback from water vapor is not supported by empirical evidence and that the feedback is actually negative. Water vapor in the atmosphere causes a cooling effect, not a warming one. Carbon dioxide also causes a slight cooling effect but it so small it could never be measured by man's instrumentation.